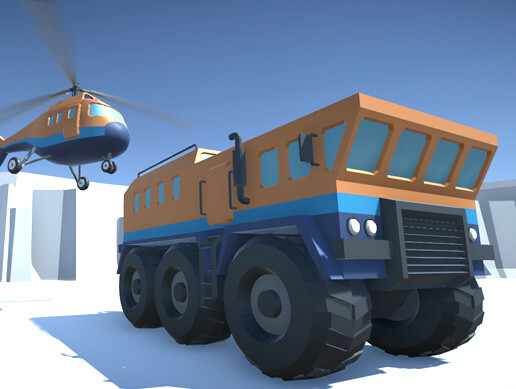 Explore the snowy cold terrains with this arctic exploration vehicles. You can apply different color schemes to vechicles models. This vehicles would look good in other harsh environments such as desert, jungle, tundra or even mars.